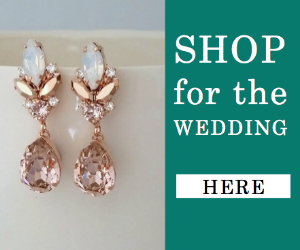 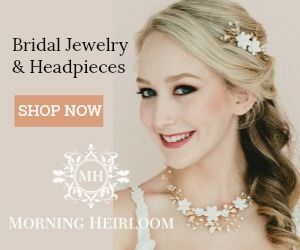 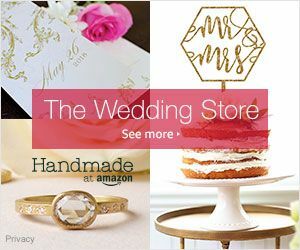 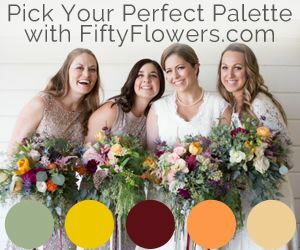 Take your quick coffee break soon and do it just to scroll this lovely wedding inspiration because it is seriously a breath of fresh air. 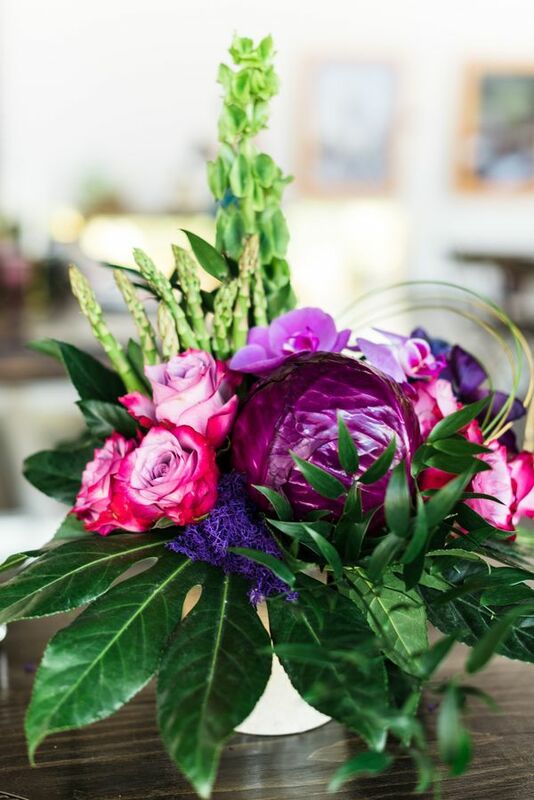 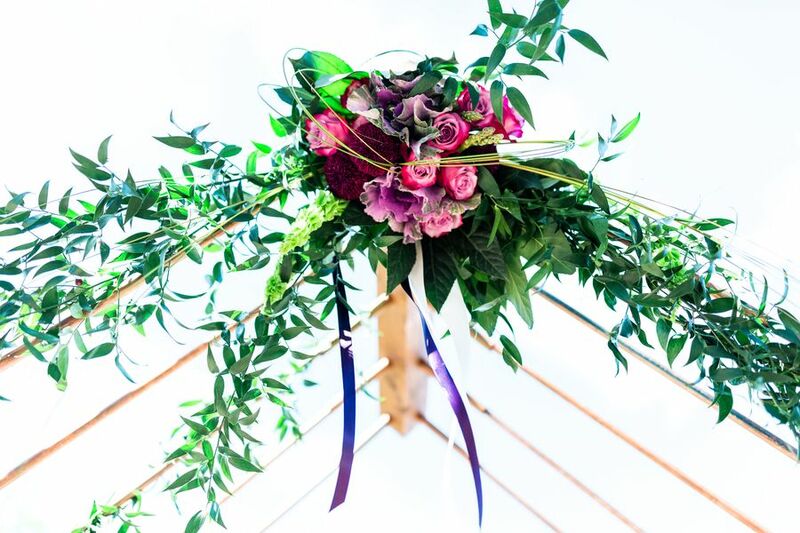 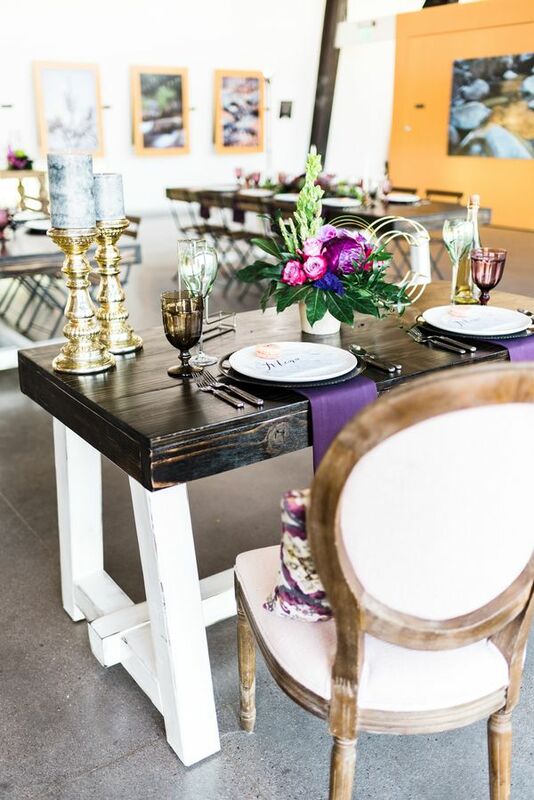 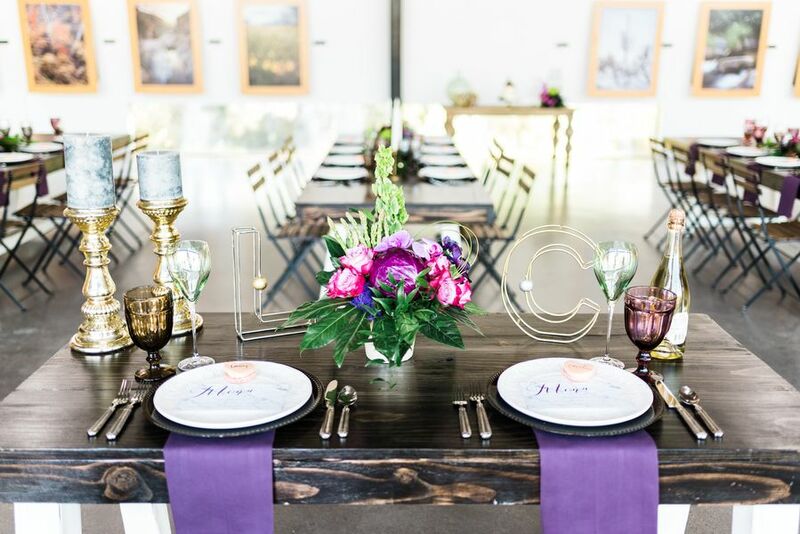 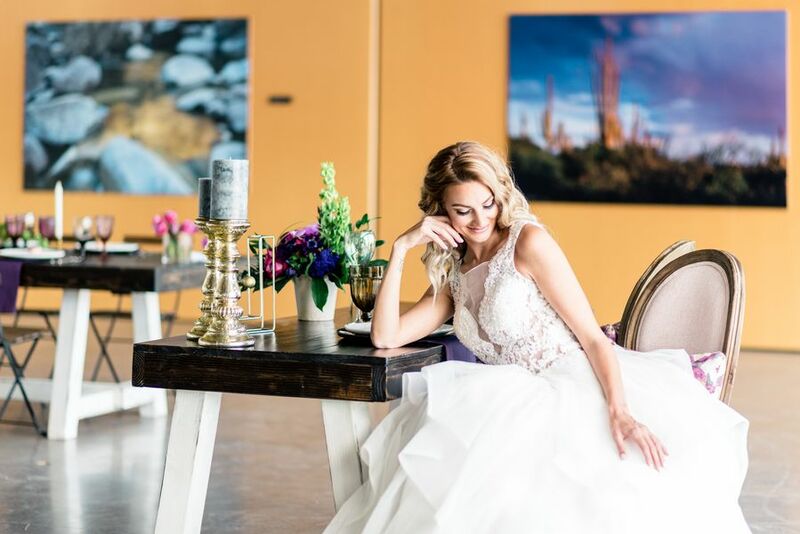 It's got flair with a blend of fantastic whimsical and modern elements, vibrant and lush florals from Andy Castano, and you can even spot one very impressive view of downtown Phoenix from the brand-new Rio Salado Audubon Center. 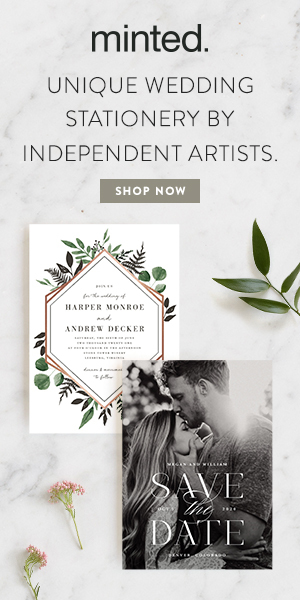 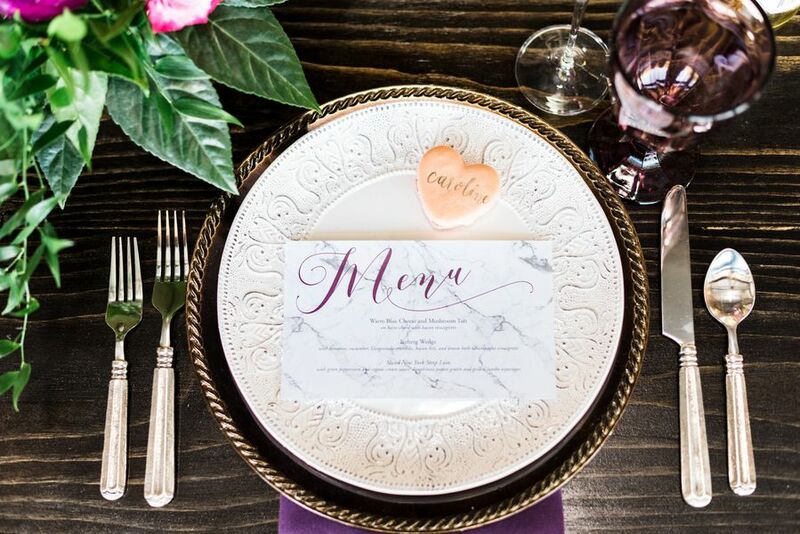 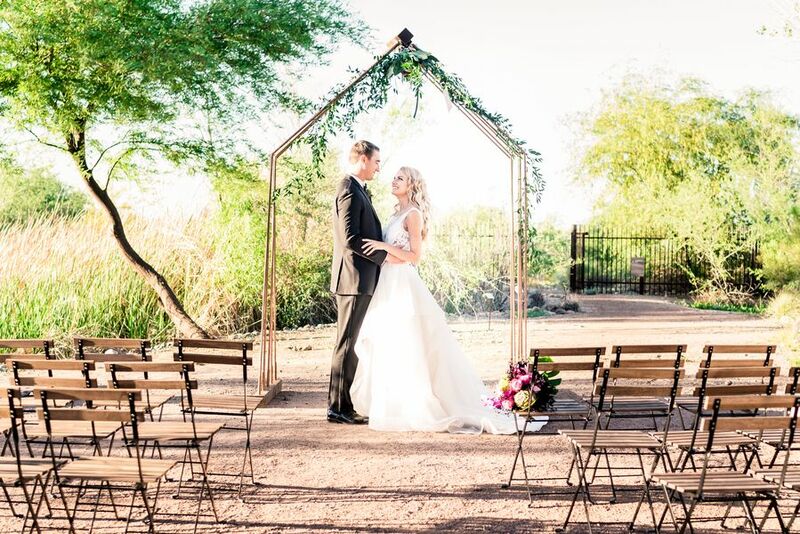 The photographer for this sweet shoot, Mindy DeLuca, recalls wanting to select a design with the Ensemble Catering team that really complemented the beauty of the earthy Arizonan surroundings. 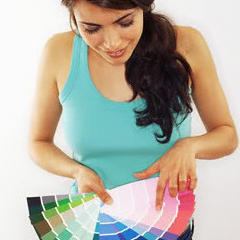 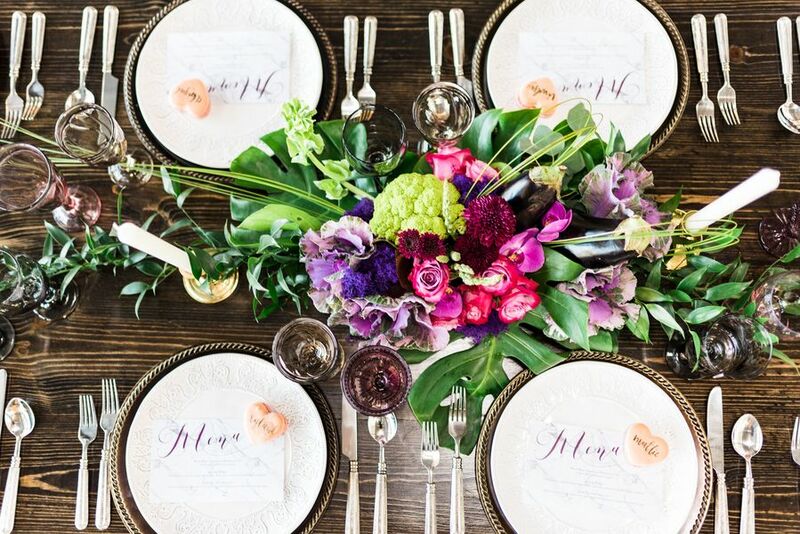 The winning palette was greens, purples, and flashes of pink and gold delight. 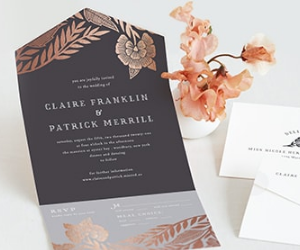 Copper + Cotton did a fabulous job with the theme and brought all of the ideas to life. 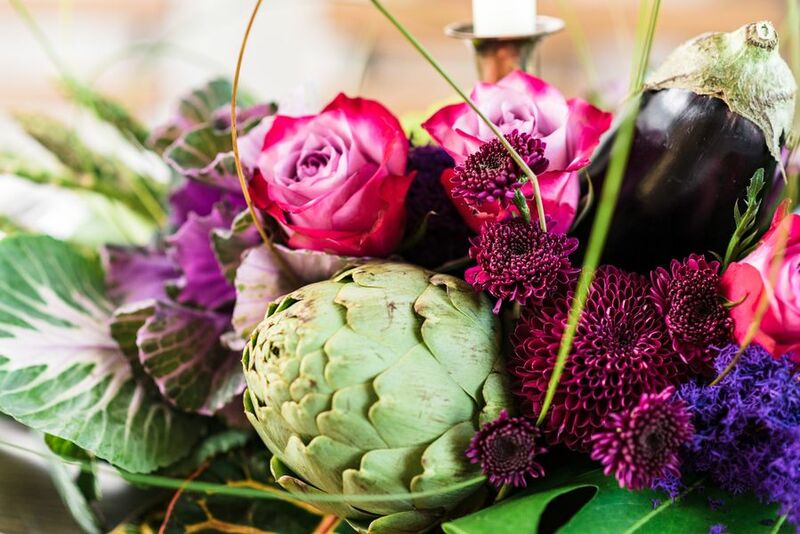 You can even spot some scrumptious veggies in the centerpieces! 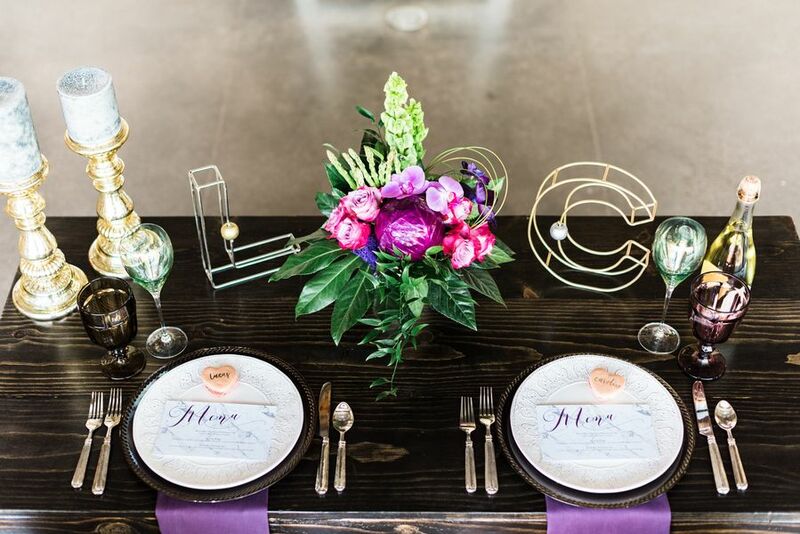 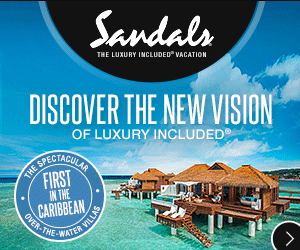 Such a winning combination for such a beautiful location! 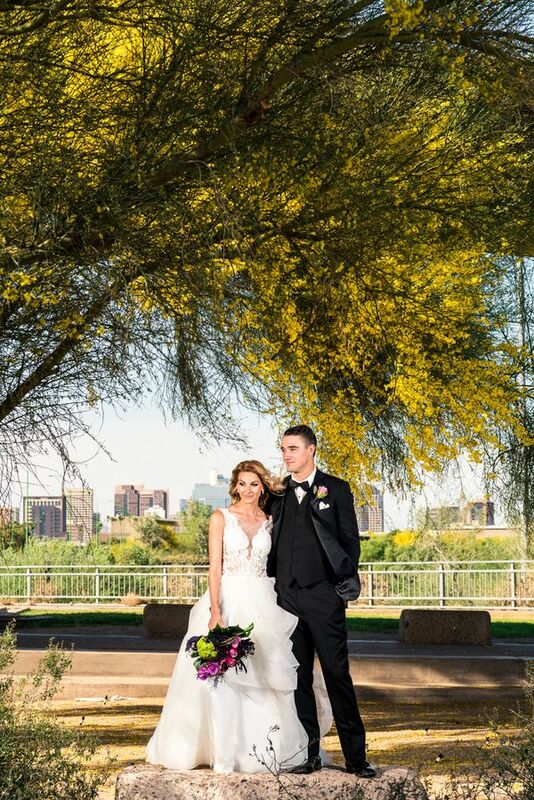 From the photographer, "As soon as I heard that the Audubon Center was opening its doors as a new venue to host weddings and events in Phoenix, Arizona, I knew we had to create a gorgeous wedding shoot there to showcase this amazing place." 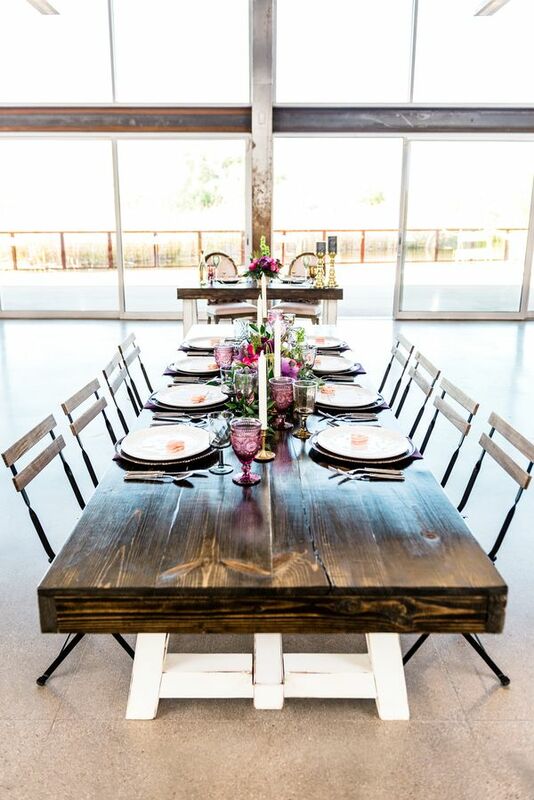 "The Nina Mason Pulliam Center, located in Phoenix’s beautiful Rio Salado habitat, is nestled amidst a lush desert landscape, and just two miles from downtown, also offers a spectacular view of the city. 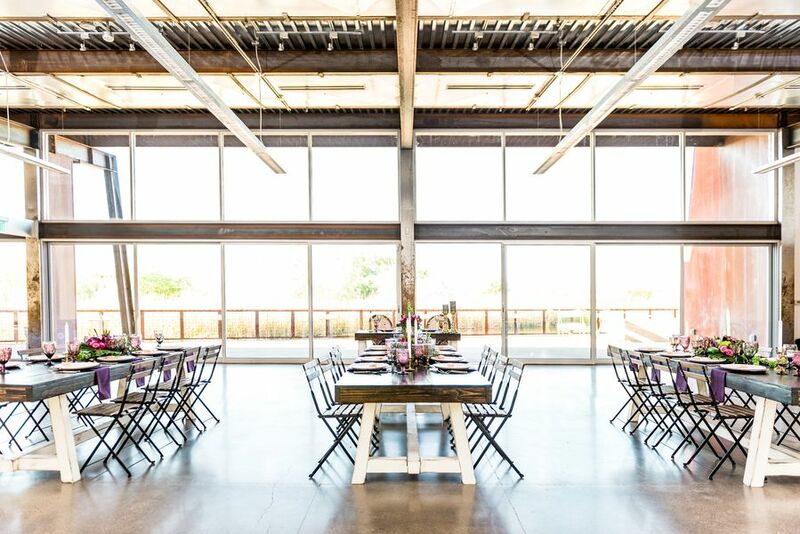 "I was immediately enamored with the paradox of the Center’s vibrant and modern aesthetic, and it's surrounding lush Sonoran riparian habitat and sustainable features." 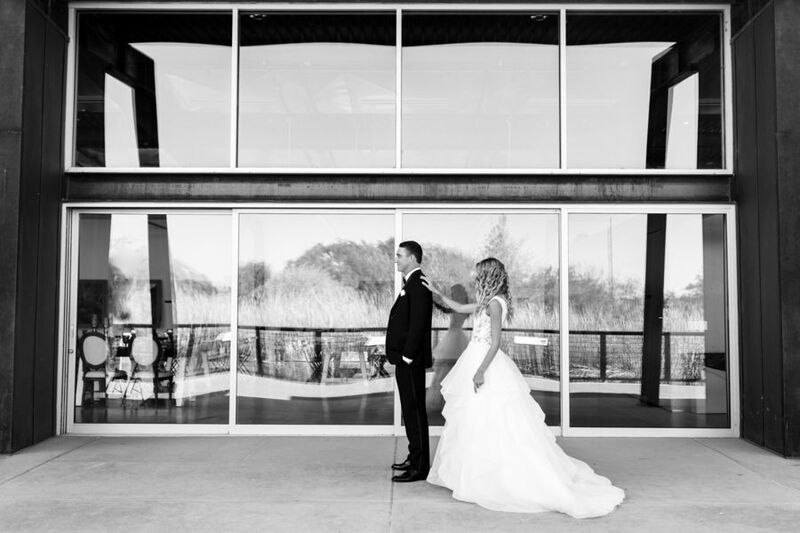 "The Frank Lloyd Wright-esque building itself has amazing architecture and artwork, providing a beautiful canvas for events and weddings." 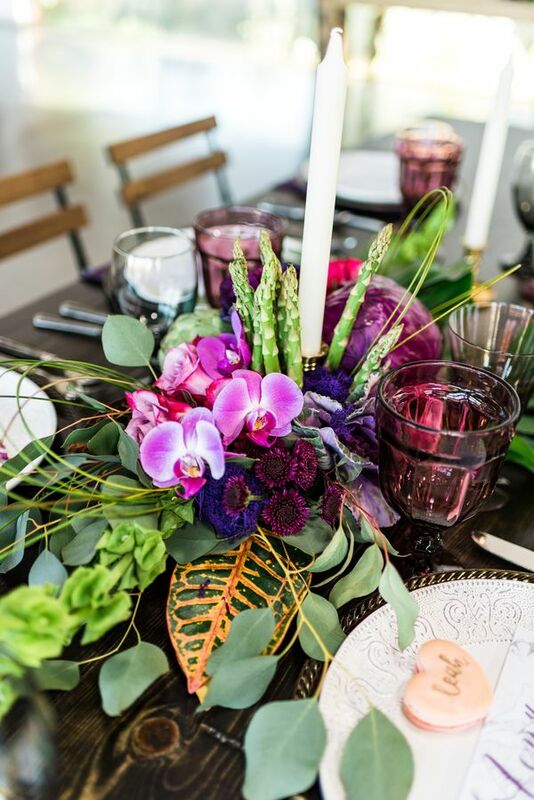 "Amazing florals by Andy Castano Designs perfectly represented both modern with pops of color, texture, and shape; as well as earthy with the use of vegetables throughout all the centerpieces and bouquet!" 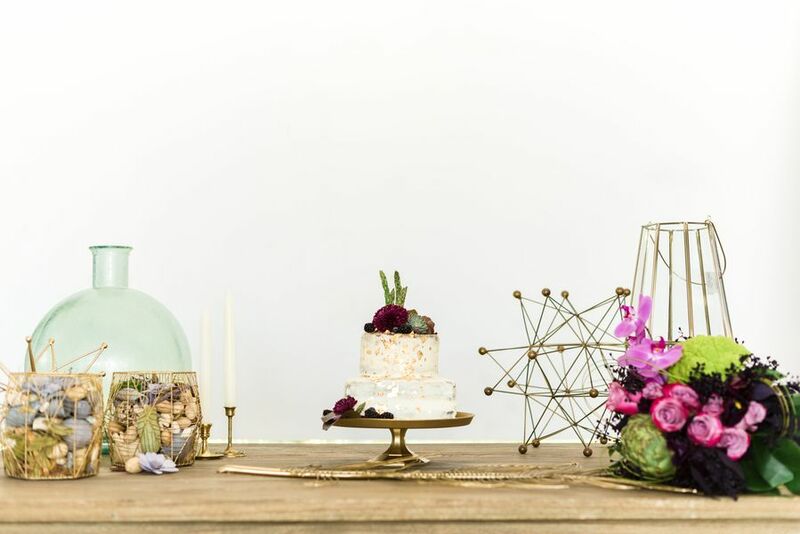 "After reaching out to the team at Ensemble Catering, we came up with idea for a shoot that complimented both the location's architecture and proximity to downtown, as well as it's natural beauty." 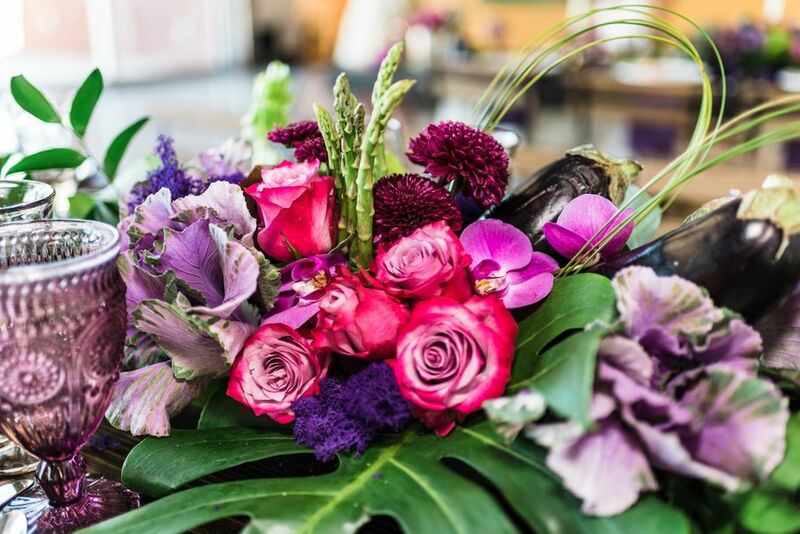 "We wanted to bring in rich and vibrant colors, so we created a palette of greens and deep purples, with pops of beautiful pinks and gold." 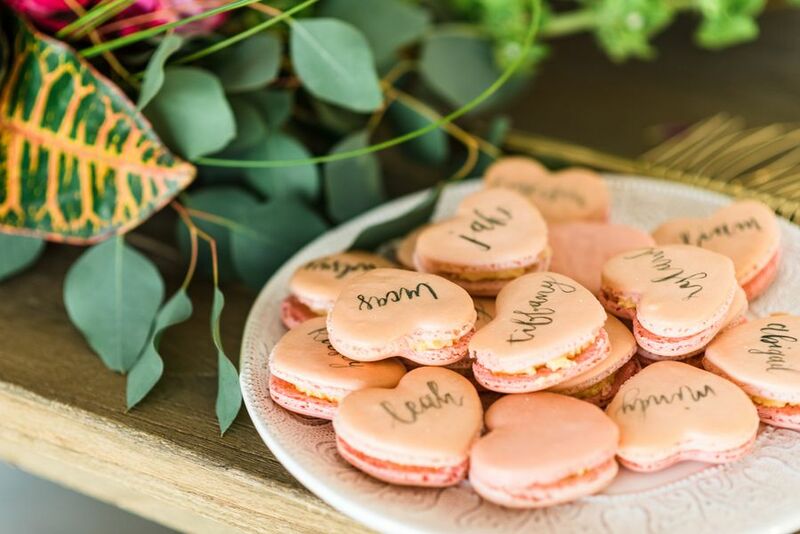 "The sweet heart-shaped macarons by Decadent Macaron softened the modern edges and also served as place/name cards." 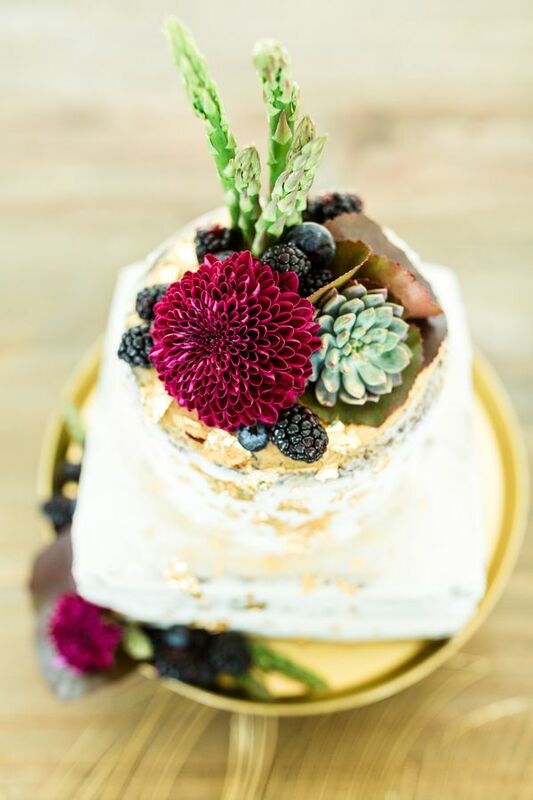 "The cake by Antigo Cakes incorporated the shapes and texture of abstract art, and the natural floral and veggie details." 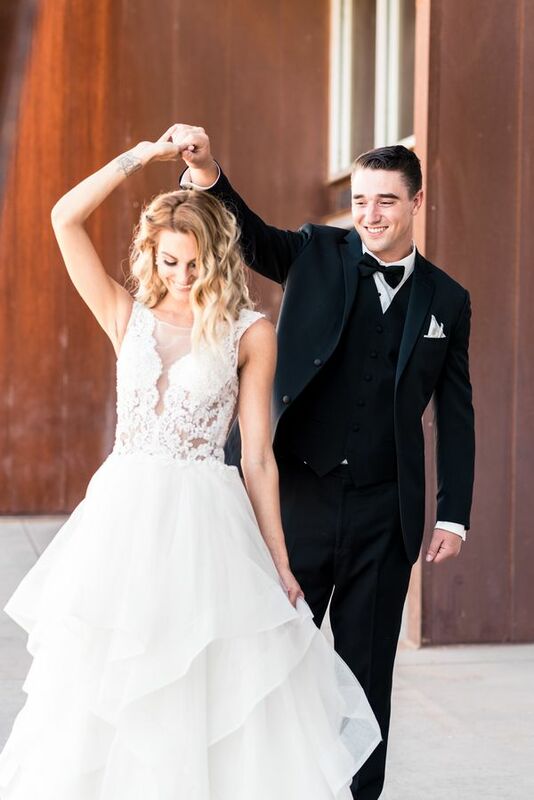 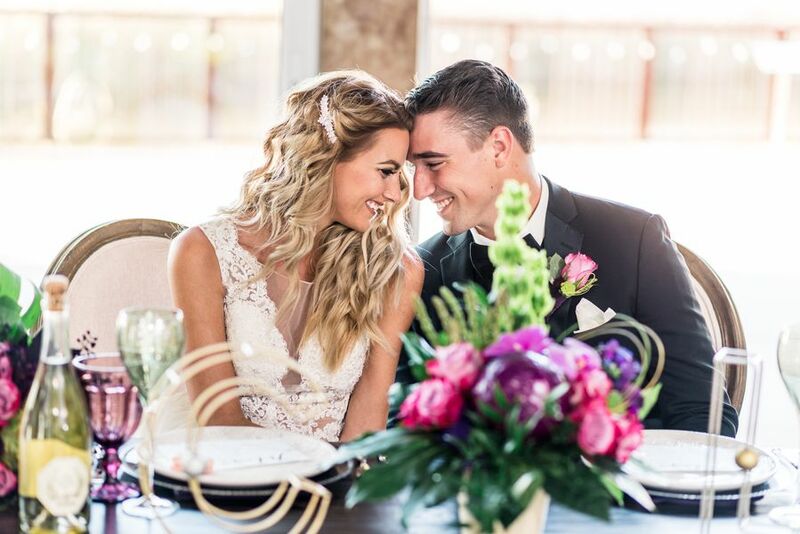 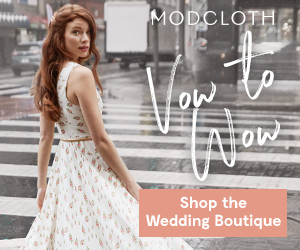 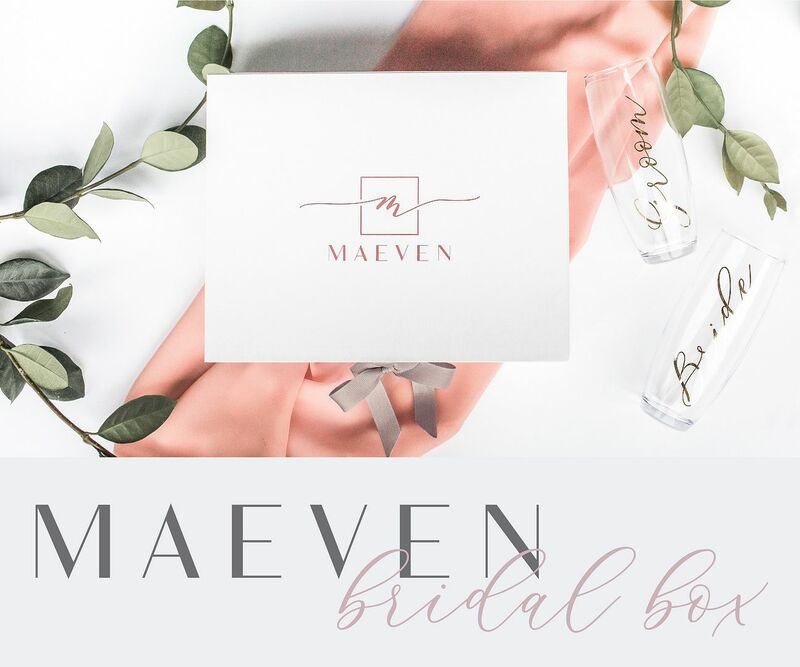 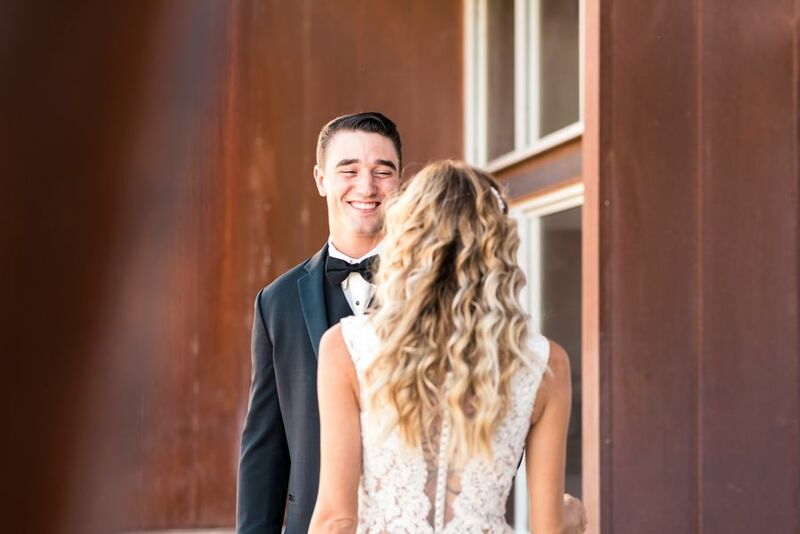 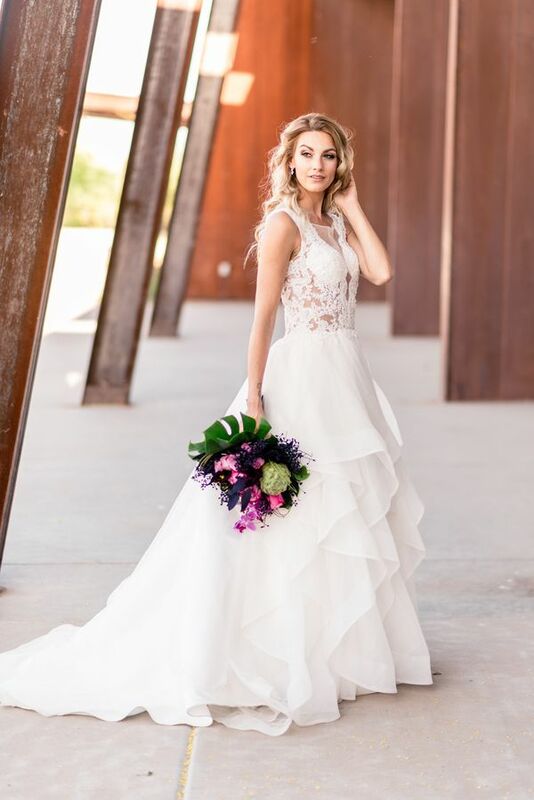 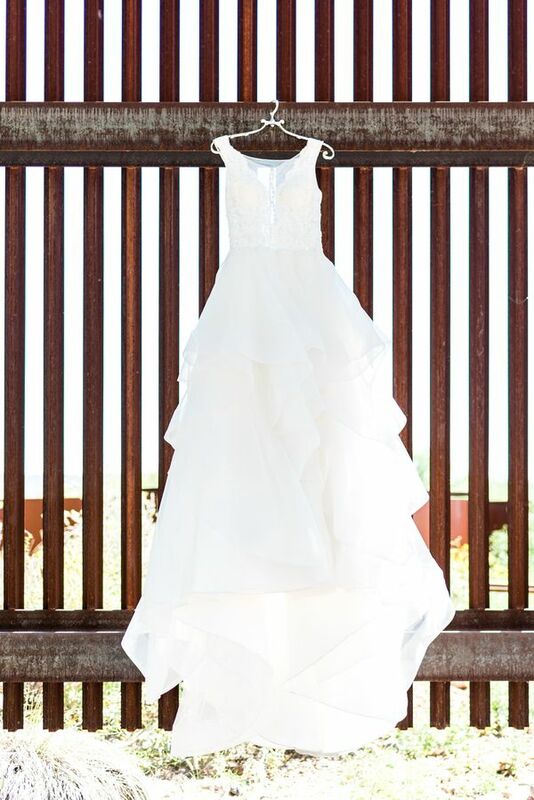 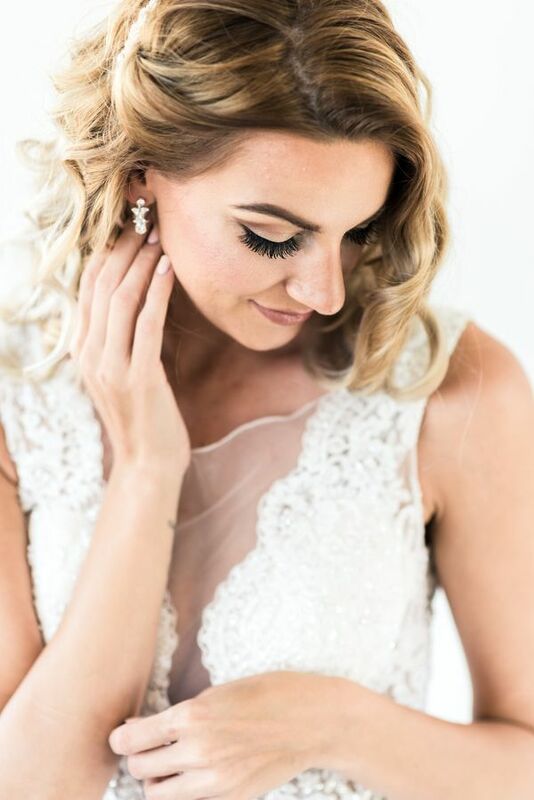 "The illusion lace and ruffled skirt of the Dior dress by Mia Solano from Luv Bridal Phoenix, along with soft, romantic hair and make-up by Cody Lynn gave our bride a romantic, natural beauty." 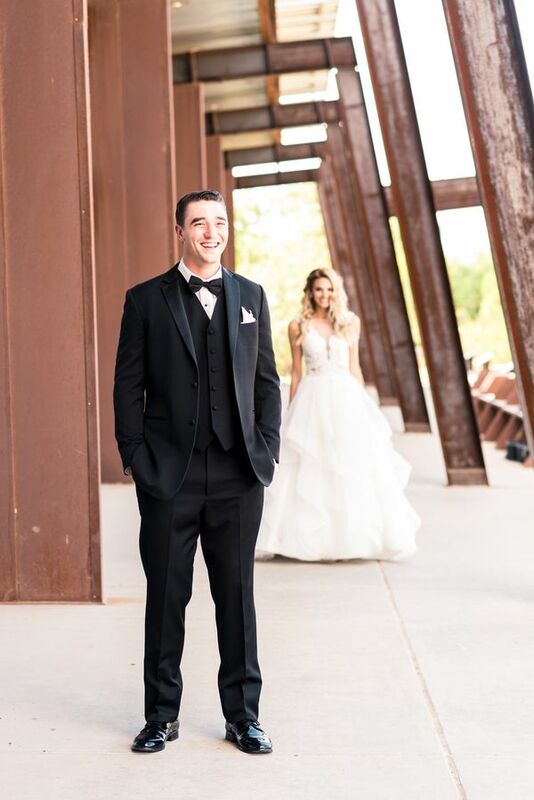 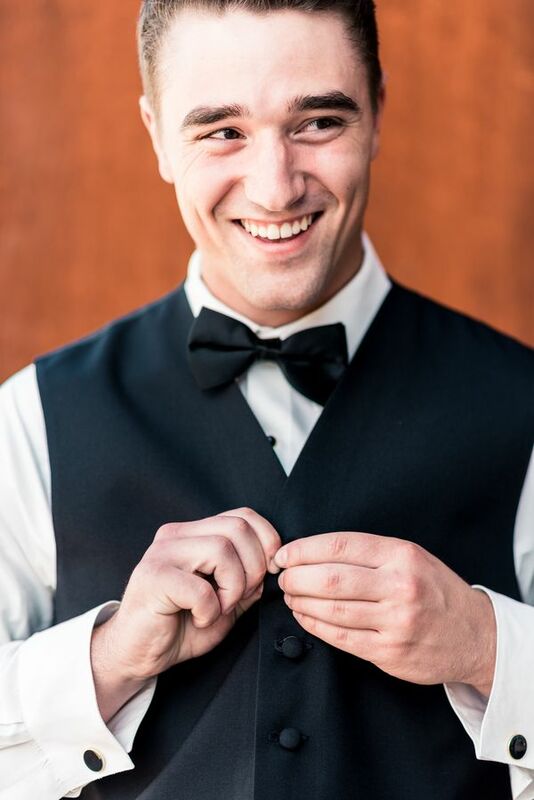 "Our groom was dapper in a traditional black tux by Celebrity Tux & Tails, well representing our sleek, modern aesthetic." 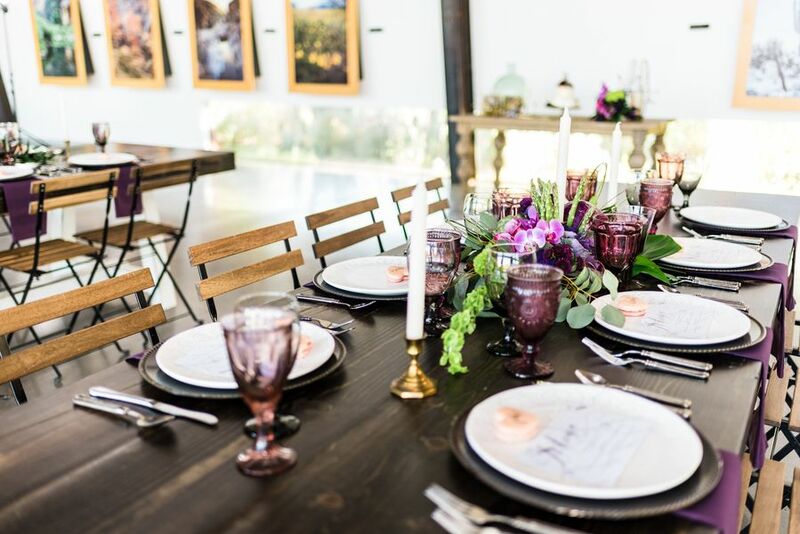 "There is something so mesmerizing about blending the edginess of a city vibe with the softness of nature, and I feel we achieved that with this gorgeous styled shoot." 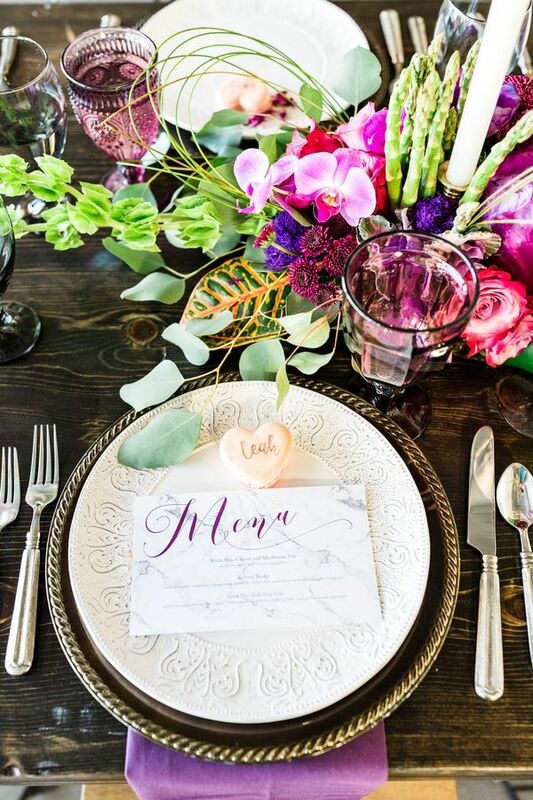 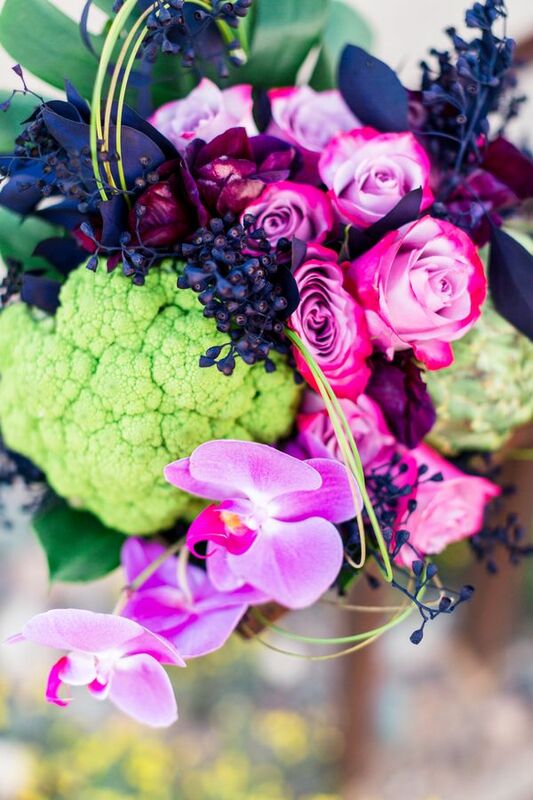 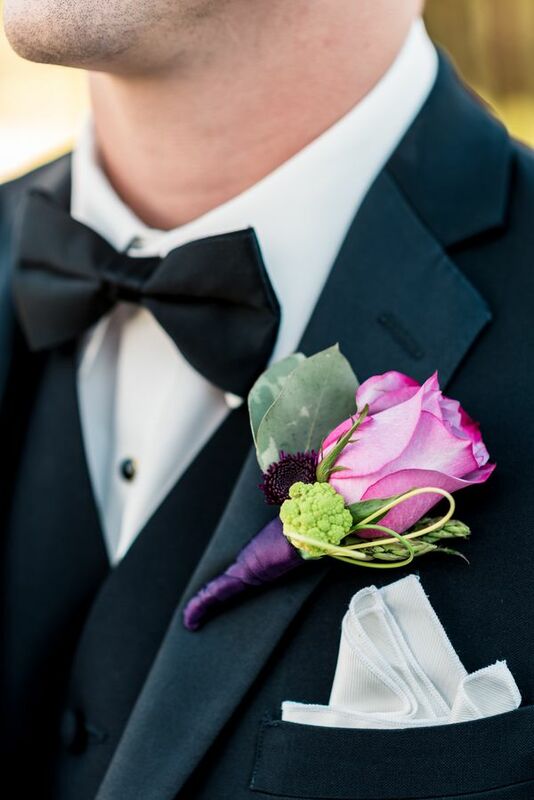 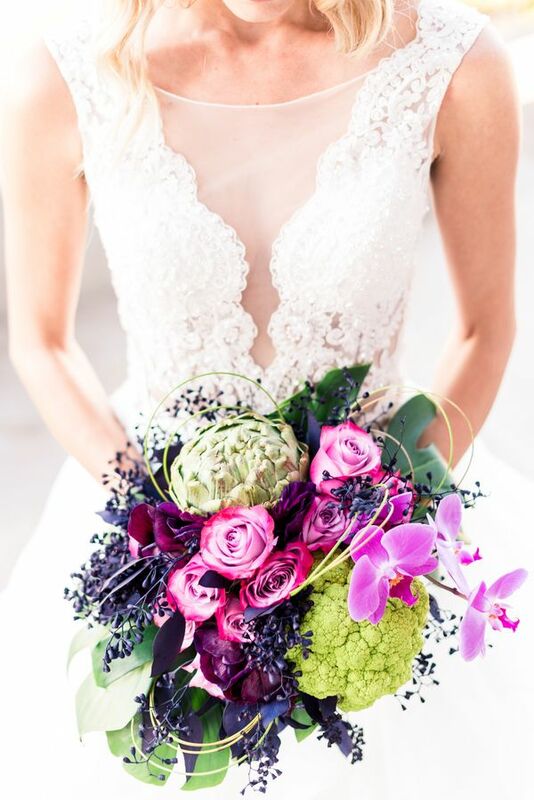 1 One Comment " Blossoming Wedding Inspiration with Shades of Purple "
This shoot is one of my favorite ever! 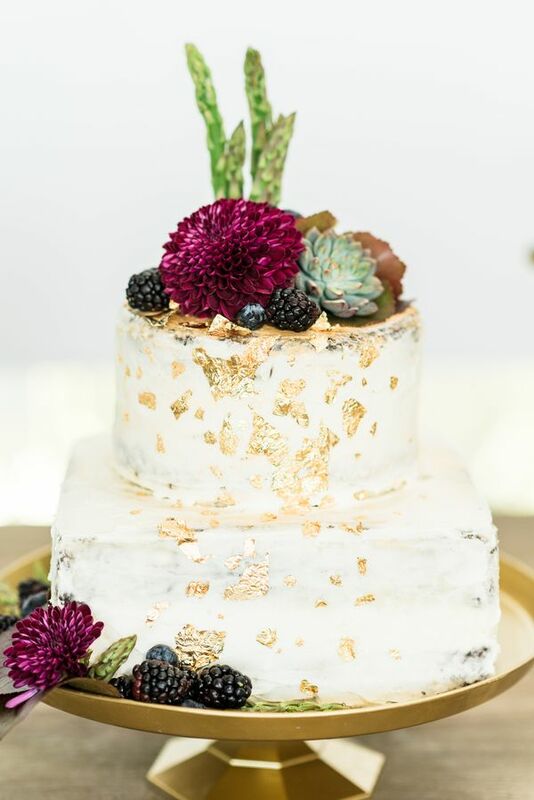 The palette was so gorgeous, the venue is amazing, and the incredibly talented vendors ROCKED everything! 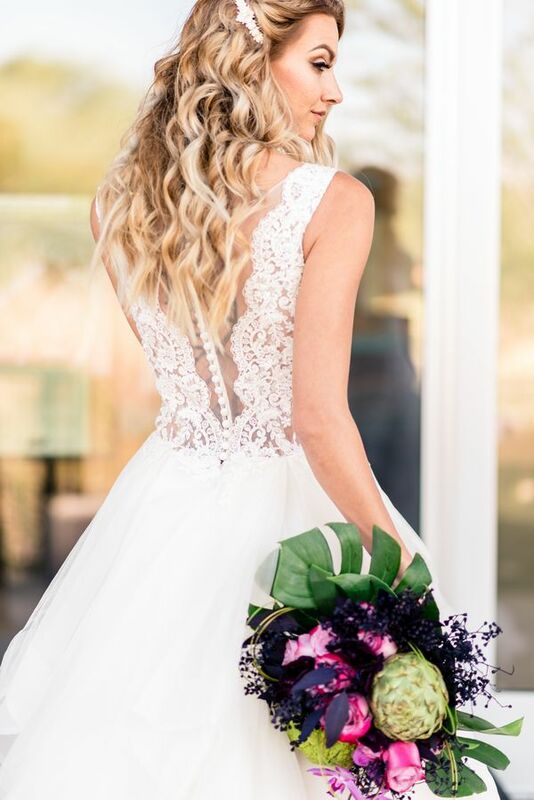 I am honored to have captured all the beauty!